The Titanic was built in Belfast by a company named Harland and Wolff between 1909 and 1912 for the White Star Line shipping company. It was intended to be one of the largest, most luxurious ships ever to operate. Harland and Wolff was owned by Lord Pirrie, a friend of Bruce Ismay, managing director of the White Star Line. 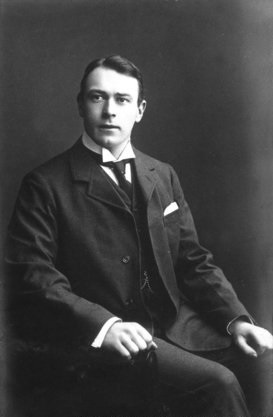 The chief designer of the Titanic was naval architect Thomas Andrews, who supervised every detail of her construction. It was built alongside her 'sister' ship in Belfast docks - the Olympia. Life was hard for the dock workers, with their days starting just after 6.00am and finishing at 5.30pm, with only Saturday afternoons and Sundays off. Men worked in all weathers with no: protective clothing, hard hat or safety equipment and this led to many accidents - eight people died constructing the Titanic. Titanic's hull was launched on 31st May 1911 and her outfitting (when all her insides were furnished) was completed by 31st March 1912. Her overall length was 269.1 metres and she was 28 metres wide. She had three steam powered propellers to make her move through the water. Only three of her four funnels were used to let out the smoke from the coal-fired boilers - the fourth was just added to make the ship look more impressive. The ship could carry a total of 3,547 passengers and crew.